UPDATE: Mr. Montoya has been located and is safe. The Dallas Police Department is seeking the public’s assistance in locating critical missing person, Andres “Andy” Montoya. Mr. Montoya was last seen today, August 3, 2o17 at approximately 8:30 am in the 900 block of Wolf Creek Trail. Mr. Montoya is traveling in a 2007 Silver dodge Caravan, Teas license plate DVW4816. Mr. Montoya may be confused and need assistance. He is described as a 75 year-old Latin male, 5’7″, 165 lbs with gray hair and brown eyes. He was last seen wearing khaki shorts with an unknown color shirt. 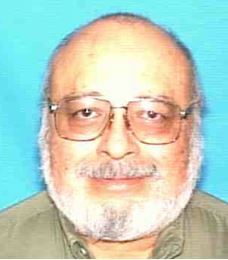 If you see this Critical Missing Person, please contact 9-1-1 or the Dallas Police Department at (214) 671-4268.